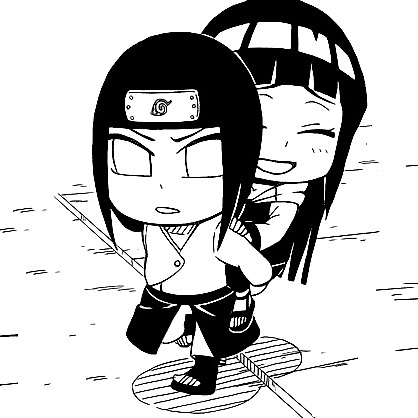 Naruto Sd Neji and Hinata. . Wallpaper and background images in the Naruto club tagged: photo rock lee springtime of youth neji hinata hyuga hyuuga nejihina naruto sd. This Naruto photo might contain straat, stad scène, stedelijke omgeving, stad straatbeeld, stedelijke instellen, anime, grappig boek, manga, cartoon, and stripboek.